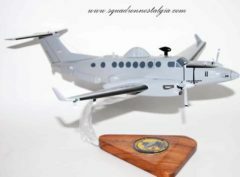 Fly again in this handcrafted wooden C-12 Huron model. Each piece is carved from wood and handpainted to provide a piece you’ll love. 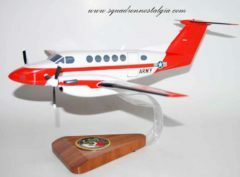 The Beechcraft C-12 Huron is the military designation for a series of twin-engine turboprop aircraft based on the Beechcraft Super King Air and Beechcraft 1900. 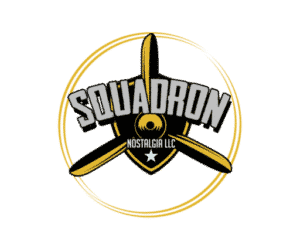 C-12 variants are used by the United States Air Force, United States Army, United States Navy and United States Marine Corps. These aircraft are used for various duties, including embassy support, medical evacuation, as well as passenger and light cargo transport. 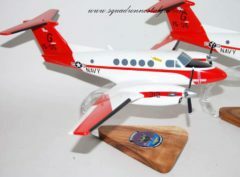 Some aircraft are modified with surveillance systems for various missions, including the Cefly Lancer, RC-12 Guardrail and Project Liberty programs. The first C-12A models entered service with the U.S. Army in 1974 and were used as a liaison and general personnel transport. 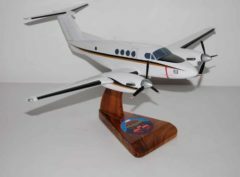 The aircraft was essentially an “off-the-shelf” Super King Air 200, powered by the type’s standard Pratt & Whitney Canada PT6A-41 engines. 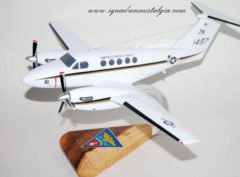 The U.S. Navy followed suit in 1979, ordering a version of the Super King Air A200C (modified with a 52 inch by 52 inch cargo door from the Super King Air 200C), designating it the UC-12B, for logistics support between Naval and Marine Corps air stations, air facilities, and other activities, both in CONUS and overseas. The cabin can readily accommodate cargo, passengers or both. It is also equipped to accept litter patients in medical evacuation missions. Through 1982, the Navy ordered 64 of these aircraft. 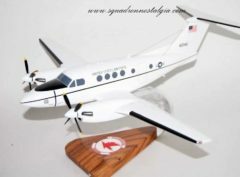 US Army C-12 Model Fly with the US Army again in this C-12 model. Each piece is carved from wood and handpainted to provide a piece you’ll love.